The High-level Meeting of the United Nations General Assembly on the Prevention and Control of Non-Communicable Diseases (“NCDs”) has drawn much-needed attention for the development and implementation of a cogent global strategy to reduce risk factors related to alcohol abuse and unhealthy diets starting in childhood. Absent in the Political Declaration of the High Level Meeting (“the NCD Political Declaration”), however, is any proposal for adoption of an international legal framework to advance cooperation in addressing these global challenges. The lack of a global legal framework to guide national action and international cooperation to reduce risk factors related to alcohol abuse and unhealthy diet significantly hinders the capacity of nations worldwide to unilaterally and collectively curb the expanding NCD epidemics. Recognizing the growing burden of NCDs, a number of commentators have suggested the adoption of comprehensive treaties or framework conventions on obesity, or alcohol or both.1 Given the legal, political, budgetary, and time-related limitations to the development and adoption of all-encompassing treaty regimes to address obesity and alcohol abuse, the authors recommend an alternative legal strategy to counter these rising NCD epidemics. 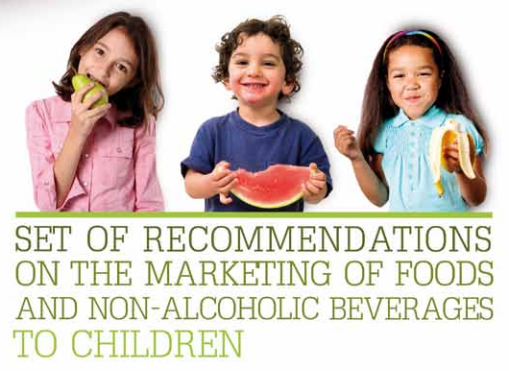 In particular, the authors call for the prompt adoption of a WHO/UNICEF Global Code of Practice on the Marketing of Unhealthy Foods and Beverages to Children. Such a non-binding international legal instrument has significant advantages over an treaty approach at the present time. It would provide a much-needed step towards advancing meaningful engagement with and holding to account all relevant actors, including national governments, private industry, and UN agencies, in protecting children everywhere from harm. The WHO Framework Convention on Tobacco Control (“FCTC”) addresses one of the major risk factors contributing to NCDs by establishing a global legal framework to counter the tobacco pandemic; the global community should now act collectively to establish a legal architecture to regulate a central component of these two other major risk factors.